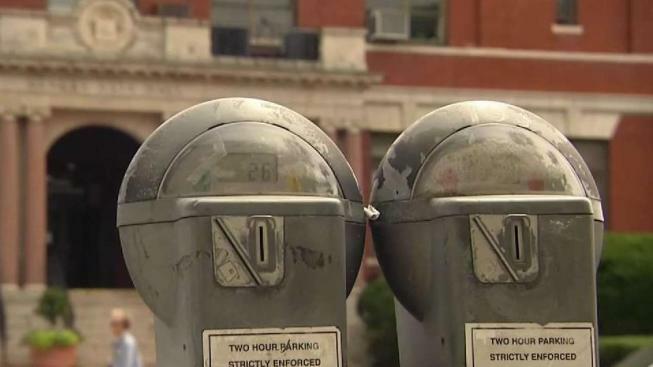 City councilors in Revere, Massachusetts, want to know what happened to more than $90,000 in missing revenue from parking meters. An audit from the mayor's office in Revere, Massachusetts, has found a massive discrepancy in revenue from parking meters. "This is theft," said Revere Mayor Brian Arrigo. It isn't just pocket change. City leaders say more than $90,000 is missing in meter money. After a heated debate with lots of finger pointing, the Revere City Council took a preliminary vote Monday night to beef up the investigation, and it is now one step closer to bringing in the FBI and the state auditor to assist local police. "It's my job to fix these problems," said Arrigo. The mayor took office in 2016 and says the audit's findings also revealed decades of mismanagement under previous administrations. He believes the city's coin-operated meters may have made it easier to steal over the years. Councilor Dan Rizzo was mayor for one term before Arrigo came in. When asked if he knew about parking meter money being stolen, he said, "Number one, there's no proof of any parking meter money being stolen." He has heavily criticized the current leadership's handling of this situation. "It's this frustration we have when we are not getting clear answers," said Rizzo. The mayor says electronic meter boxes will replace the ones that are coin-operated by the end of the year, and all the meter money coming in will now be available to see on the city's website. "There will be assurances something like this will not happen again," said Arrigo. Two parking department workers are now on unpaid administrative leave. They are not being identified because the mayor says this is all still under investigation.